Sometimes you need to haul more than your car or truck can handle. The range of rental trailers available at Sharecost means you’ll be able to source the right trailer, at the right price, for your next project. Don’t wear out your vehicle or put your safety at risk by overloading it. Whether you’re looking to haul bulk materials, drop off some garden waste, or bring home a piece of rental equipment, we’ve got you covered. Don’t have the right hook-ups? 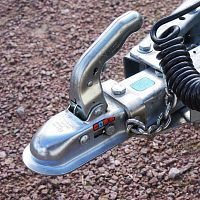 We provide rentals for trailer accessories, such as ball-hitches and trailer light adapters. Our staff will work with you to make sure you’re connected safely and securely.